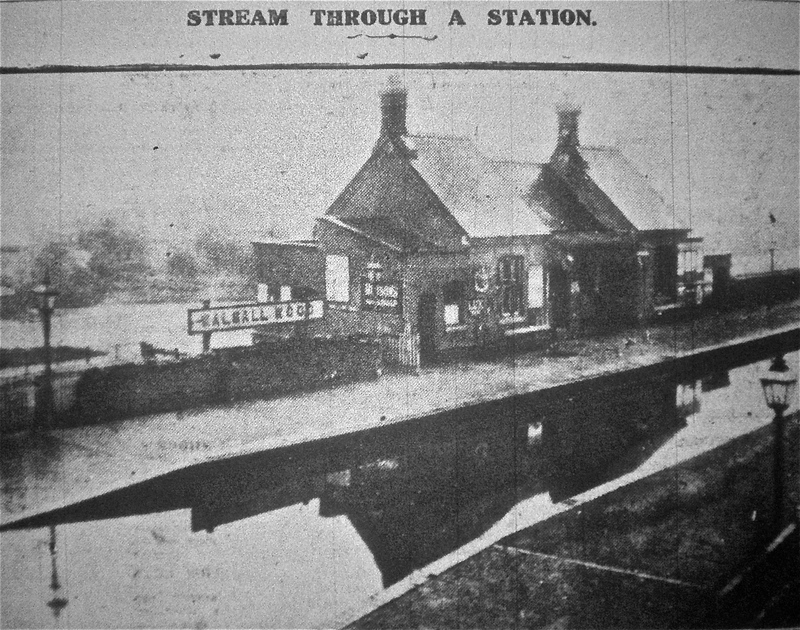 The original caption said 'An interesting photograph showing what the Walsall Wood Station looked like after the holiday deluge' and was published in the Walsall Observer, Saturday 19th April 1922. Behold another great find by top reader, great friend and local history whizz [Howmuch?]. Spotted in the Walsall Observer from August, 1922, an unusual view of Walsall Wood railway station following what is described as ‘the holiday deluge’. Of course, that cutting was always known for flooding and I can remember the underpass flooded waist deep as late as the eighties. I just love the details like the lights and sign. Good views of this lost station are very rare, and I’m hugely grateful to [Howmuch?] for yet another wonderful bit of local history research. Sort of reassuring to know the quality of the good old British Summer was always so variable, even then. This entry was posted in Brownhills stuff, Environment, Features, Interesting photos, Local History, Local media, Reader enquiries, Shared media, Shared memories, Social Media, Walsall community, Walsall Wood stuff and tagged Brownhills, Brownhills local history, flood, Howmuch, Local History, New Photos, Staffordshire, Walsall Wood, Walsall Wood station. Bookmark the permalink. Thanks Bob and Howmuch for a wonderful picture of the old station. I remember playing on the old railway line as a child……after it had closed obviously. What do you have to google to get to view the old walsall observer archives, ive tried but only get obituaries. you never know one day!